Journey Changes need to be made! Discussion in 'Suggestions' started by Greninjatrainer, Dec 28, 2017. Good day to whom it may concern, although you may see this forum post made by Greninjatrainer, I am in reality XXXFelipe, the Sinnoh meme who's birthday is everyday for whatever reason. I am here today to address an issue that has been plaguing the Journey community for several months now; as 2018 fast approaches, I feel that a major change needs to be implemented for us to continue as a fun and loving community. If this suggestion becomes approved, I can guarantee the success of our server. Now we all know about the tragic closing of the widely popular online game, Club Penguin; yes a very sad moment indeed. Friendship came to a close and the caring community became scattered upon this event. 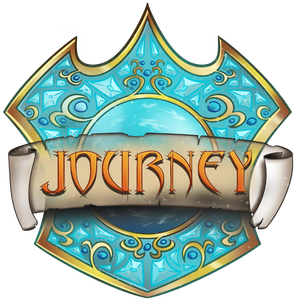 However, during the span of its lifetime, Journey Gaming held a Teamspeak lobby dedicated to this game and allowed for people who enjoyed it to relax and talk to each other. It's much like the Minecraft lobbies in this scenario. But sadly, upon the closure of Club Penguin servers, so too were the Teamspeak lobbies. Many people had enjoyed their meaningful conversations or crazy antics in there. Now you may be wondering "What does this have to do with the changes you think should be made" or "FELIPE ARE YOU ADVERTISING!?!?!?! 0.0" I know that this has already been a lot of reading at this point but please hold on, this will get interesting soon. Official Club Penguin servers have been shut down for about a year now and there has been complete silence from the creators of it since then. But recently, a ray of hope had shined into the eyes of those who enjoyed the game and all of its unique features; Club Penguin has been rewritten and brought back to life by dedicated fans. Now I'm not gonna drop the link for it because once again, I don't want any "ADVERTISING DKHBFVKLRDABV" Me and a group of my beloved friends have enjoyed it so far and have made numerous memories out of our shenanigans. However the purpose of the post is not to praise the game, rather it is to bring forward a suggestion that me and my friends have formulated that will surely help improve the Journey Gaming Network. Now I'm not going to beat around the bush here and I will go straight to the point: I feel that if we bring back the Club Penguin lobbies back into the Journey Gaming Teamspeak Server. Now I know that you either may be disappointed at what I just said, OR curiosity struck your mind and you want to know more about what this plan is going to do. What it would accomplish is that it would bring together the great community of people that Club Penguin had forged; more and more people would join our Teamspeak network. If you believe in this movement, spread the word! We need the support of you, the people! Linked below is a strawpoll link to voice your opinion on the matter. Thank you all for reading and I hope all have an amazing day. Bring back the club penguin lobbies!!!! I WILL ALWAYS FOLLOW YOU. MY WISE FELIPE GOD, YOU ARE MY LORD AND SAVIOR. YOU ARE ONE OF THE GREATEST GODS THERE ARE, YOU ARE THE FINESSE GOD. ALL KNEEL BEFORE HIS GREATNESS AS YOU ARE IN THE PRESENCE OF THE ALMIGHTY XXXFELIPE. If the Club Penguin lobby is gonna be brought back why not make a ToonTown lobby (It has a rewritten version too). Power to you my good friend! Make it if thats what your heart desires! will i have to make a new club penguin dude on the rewritten one?